Natural Health News — Some common herbal extracts may have the ability to enhance bone health at a genetic level, according to new research. The botanical extracts were studied in relation gene expression and how it influences bone breakdown and formation. Gene expression is the process by which genetic information about how our bodies should function is turned into biological activity. Results published in Phytomedicine indicate that extracts from pomegranate fruit (Punica granatum) and grapeseed (Vitis vinifera) may work by affecting gene expression linked to reduced osteoclast activation (osteoclasts are cells which break down bone, leading to resorption and weakening). On the other hand, quercetin (Dimorphandra mollis) and liquorice extracts (Glycyrrhiza glabra) may promote bone formation by modulating gene expression linked to increased osteoblast activation (osteoblasts are cells responsible for bone formation). » New research has shown that certain botanical extracts can affect the rate of bone formation or bone breakdown at a genetic level. » Extracts from pomegranate fruit and grapeseed were found to slow bone breakdown, while quercetin and liquorice extracts were found to promote bone formation. » The researchers suggest that using targeted supplementation may help promote stronger bones. For this small study 46 post-menopausal women were randomly assigned to one of three groups: a combination of extracts from pomegranate fruit and grape seed; a combination of quercetin and liquorice extracts; or a combination of all four plant extracts. Following 28 days of supplementation blood tests were used to assess any impact of the supplement on gene expression. 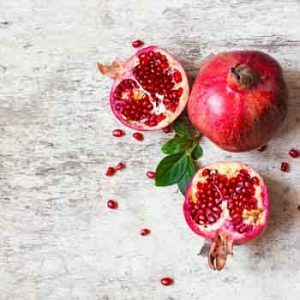 Results showed that the combination of pomegranate and grapeseed extracts affected bone resportion gene expression, possibly by inhibiting what is known as the RANK-RANKL pathway. This pathway is already a recognised target for therapeutic agents in the treatment of osteoporosis. The quercetin and liquorice extracts were found to affect gene expression linked to a reduction in osteoclast activity and to an increase in osteoblastic activity. This seemed to be partly linked to stimulation of the pathways linked to the formation of bone and collagen. Interestingly, when all four extracts were combined, the changes to gene expression were different from when they were used in pairs and was less beneficial – possibly because the processes for both bone resorption and bone formation are separate. “These results demonstrate that the two botanical extract combinations developed through a targeted series of in vitro and in vivo assays caused changes in gene expression indicating that osteoclastic and osteogenic processes were modulated with both,” wrote researchers. “Further work is warranted to confirm these results and to investigate the effect of the botanical extracts on the differentially expressed genes and their functional relationship to bone metabolism,” they concluded. The study was funded in part by supplement manufacturer, Nutrilite. Vitamin E – a new weapon against osteoporosis?